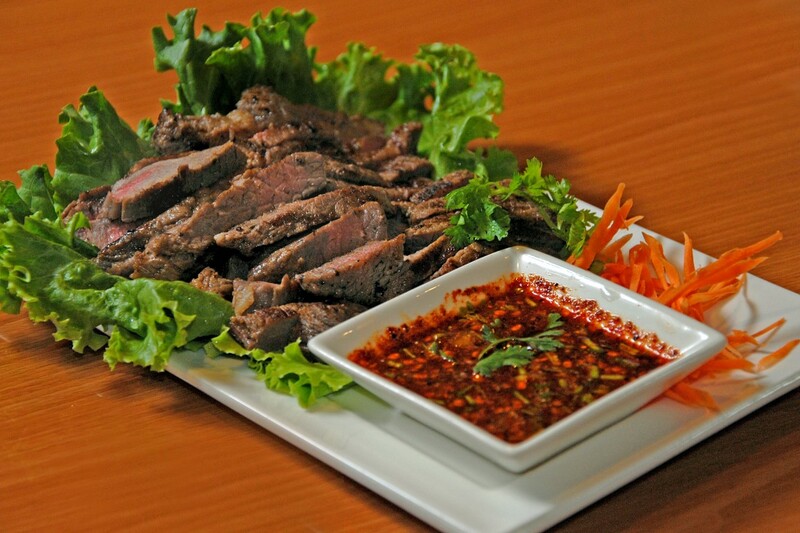 Homemade authentic Thai food is our specialty. 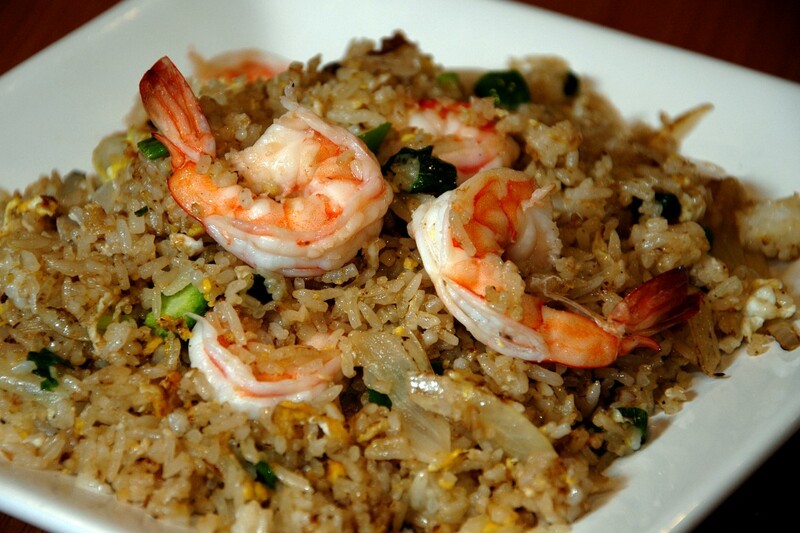 Chef Pim is from a small village outside Chiang Mai Thailand. 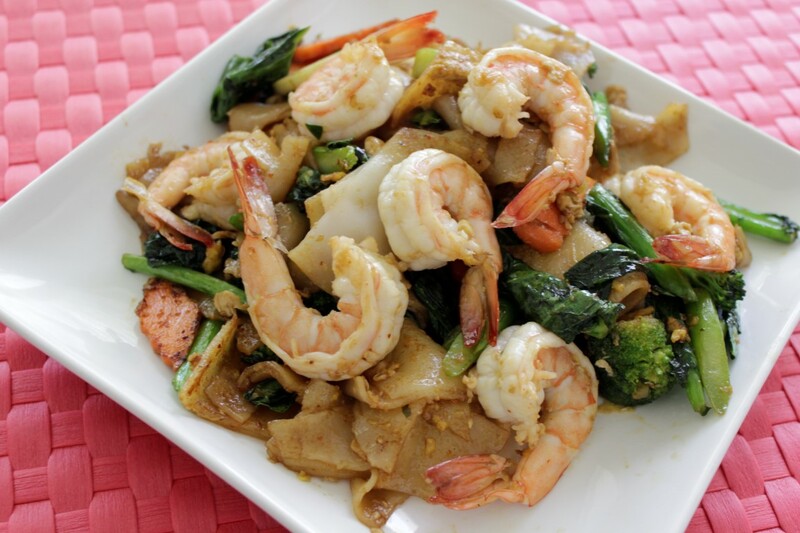 She was taught by her mother and extended family in the ways of traditional Thai cooking. She puts her heart and soul into it, she tries to be as authentic as possible, keeping the Americanization of the food to a minimum. Come in, meet Pim, talk about the food, enjoy a great meal. Ask about catering and bulk order. 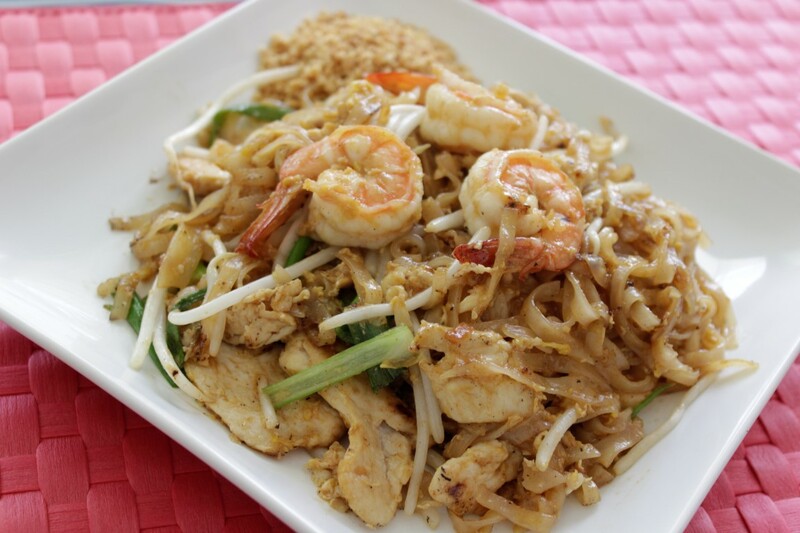 Feel free to spend time learning about Pim and her Thai food. Open for special events upon request. Call for reservations or just stop by. Take out available as well. 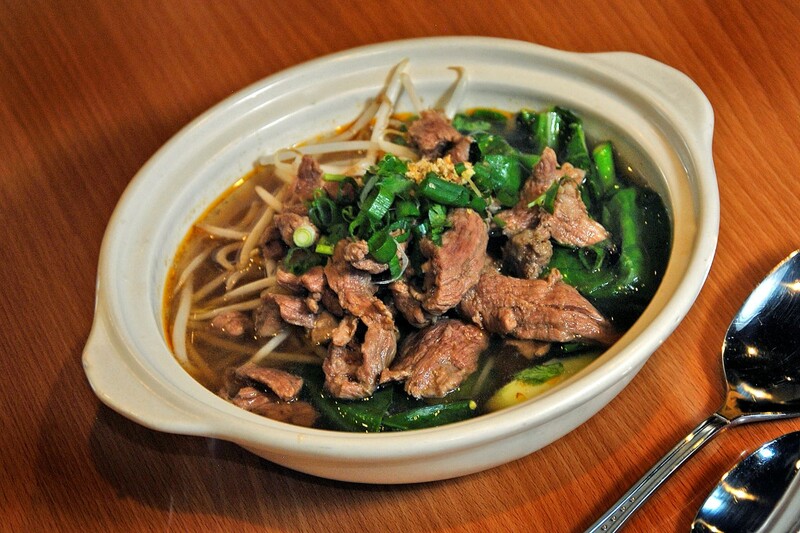 Duck and Thin Rice noodles in a soup with garlic, cabbage, green onion, cilantro and Bean sprouts. With or without tofu; cabbage, carrot, minced chicken, celery, zucchini. Coconut Milk, chicken, mushrooms, cilantro, chili and lime juice. Hot and Sour Soup with Chicken, Mushrooms, chili, lemongrass, lime leaves and roasted chili paste. Hot and Sour Soup with Shrimp, Mushrooms, chili, lemon grass, lime leaves and roasted chili paste. Wontons with crab and cream cheese. Avocado, Cream Cheese, Crab wrapped in Wonton Paper and deep fried. Served with sweet & sour sauce. 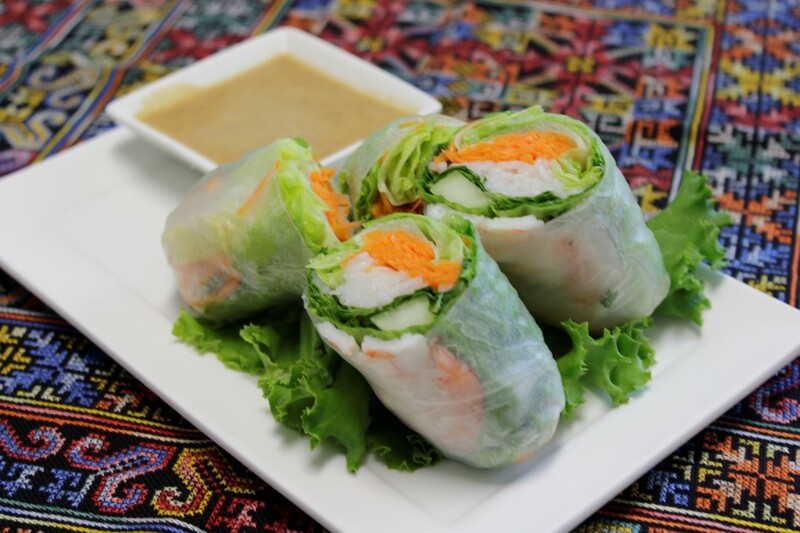 Fresh vegetables with Shrimp, wrapped with rice noodles, served with peanut sauce. 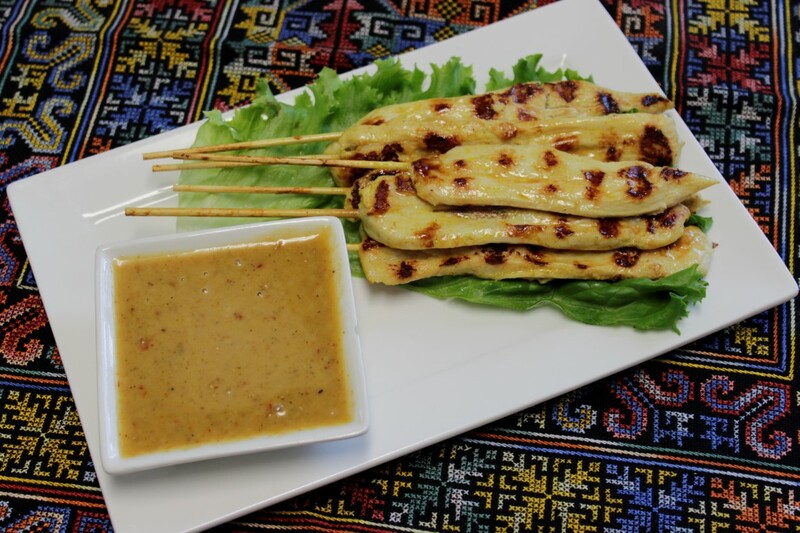 Chicken Kabob, marinated in coconut milk with herbs and spices, served with peanut sauce. Marinated Vegetables wrapped in wonton sheets, deep fried served with sweet and sour sauce. 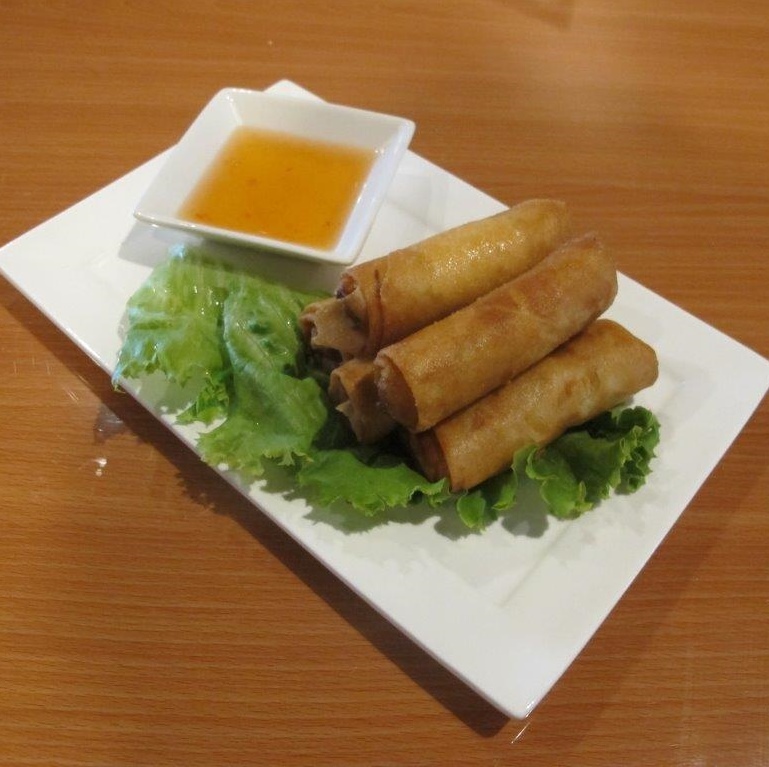 Fresh ground Pork, deep fried served with sweet and sour sauce. Scallops stir-fried with asparagus, sweat peas, and carrots. Asparagus and sugar peas in a HOMEMADE sauce. Lo Mein Noodles stir fried with carrots, cabbage, green onion and bean sprouts. Stir-fried with onions, chili peppers, bell pepper, eggplant, garlic and basil. Bean noodles with shrimp scallions, peppercorn, garlic, green onion, ginger and cilantro. Rice stir-fried with onion, Chinese broccoli, tomato & egg. Stir-fried with peppercorn, onions, green bell peppers, and red bell peppers. 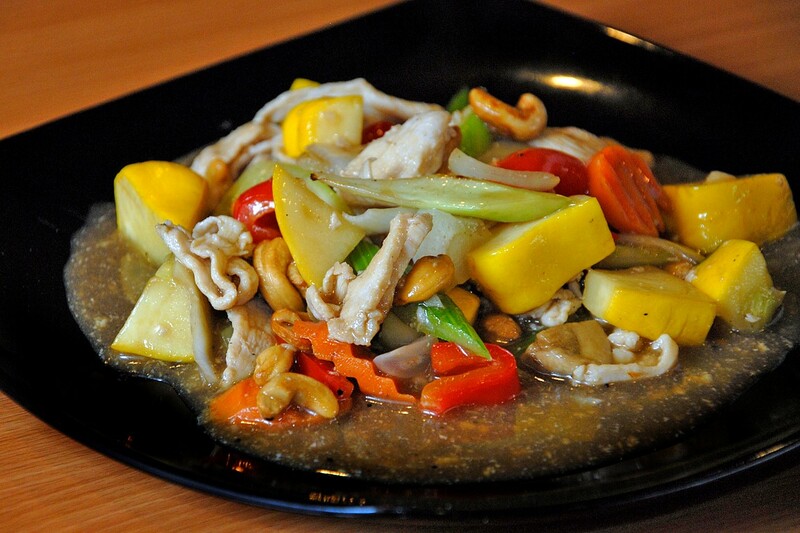 Stir-fried chicken with yellow onions, bell peppers, celery, carrots, and cashew nuts. Stir-fried with Thai basil, bell peppers, jalapeno, and eggplant. Duck Stir-fried with onions, chili peppers, bell pepper, eggplant, garlic and basil. 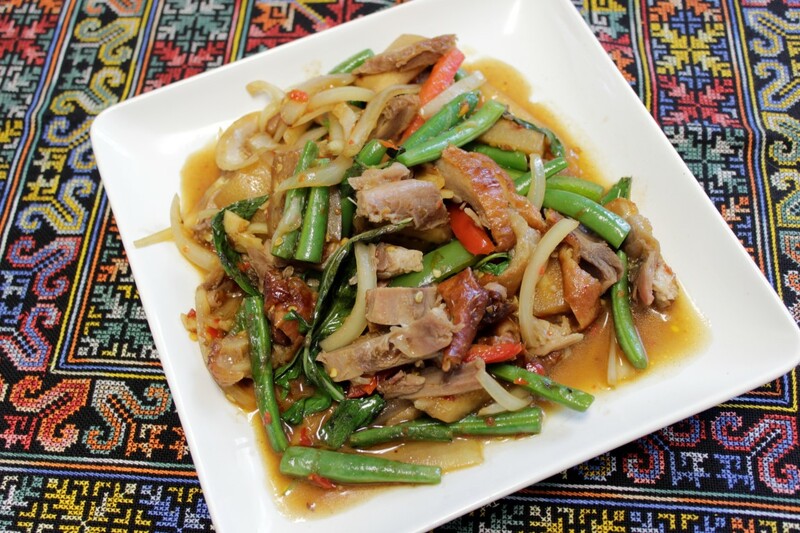 Crispy Pork stir fried with green onions, chili paste and garlic. Mixed vegetables stir-fried with fish sauce, oyster sauce and garlic. Your choice with or without tofu. 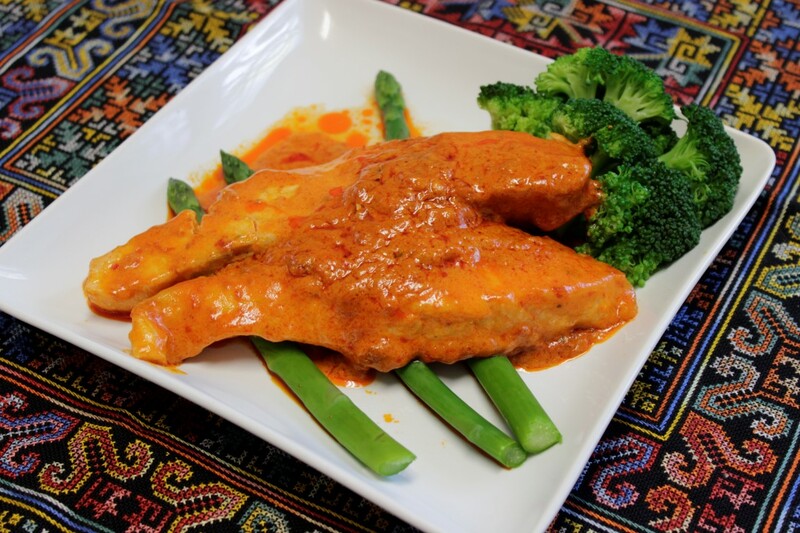 Salmon simmered in our HOMEMADE Panang curry sauce, served with a side of broccoli and rice. Wide Rice Noodles stirfried with bell peppers, yellow onion, baby corn and Thai basil. Wide noodles stir-fried with scallions, bean sprouts, carrots, cabbage and Chinese broccoli. Thai wide rice noodles stir-fried with broccoli, carrots and eggs. Shredded green papaya, with carrots, dried shrimp, lime juice, and chili powder served with mixed greens. 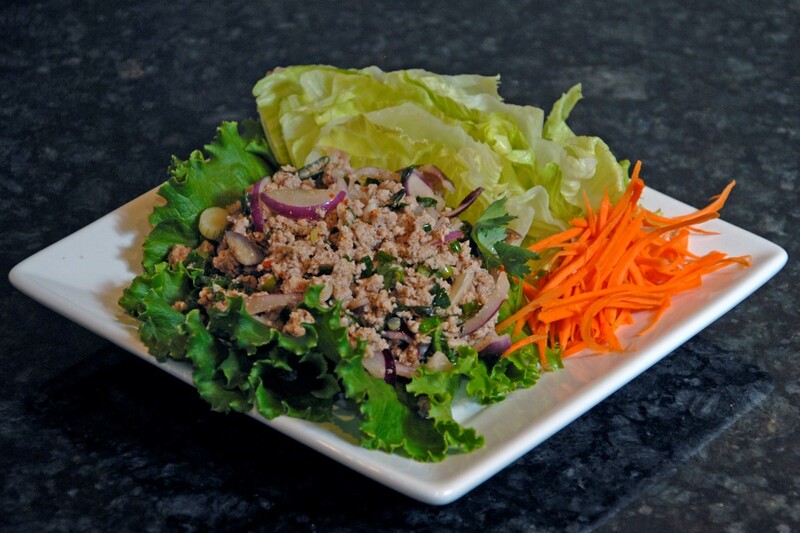 Minced chicken or pork seasoned with onions, roasted rice powder, cilantro and mint leaves served with mixed greens. Bean Thread Noodles with cilantro and onions seasoned with a Thai spice dressing. Red Onion, cilantro, mint, chili, lemon juice, celery and fish sauce. Mixed seafood with cilantro and onion tossed with spicy lime dressing. baby corn, bell peppers and coconut milk. bell peppers, bamboo shoots, eggplant, Thai basil and coconut milk. potato, carrots, yellow onion and coconut milk. snow peas, broccoli, bell peppers, Thai basil and coconut milk.